Speaking to a little girl the other day, I asked her age, ‘7 years and 3 months’ she replied without so much as a breath of hesitation. There are not many people who grow up nowadays without knowing their age, yet this was the case with my granddad. The youngest of twelve children born to Rehmatbai Abdulali and Mohamadali Bhodalbhai, my grandfather, Noordin Mohamadali Sham, came into the world in the living room of the family home in Rajkot, India. His birth was never registered, something not uncommon in India at the time when birth certificates were not considered as important or necessary as they are for us today. Prior to the birth of my Grandfather, his parents had suffered great sadness following the death of two of their sons Akhbar and Taher. Akhbar had died aged 18 after falling from a building rooftop whilst picking fruit from a tall tree and Taher had passed away at the age of 8 due to an unknown illness. When my granddad was what he believes to be 6 years old, further tragedy hit the family when his mother, Rehmatbai, died suddenly from a brain tumour aged just 46. 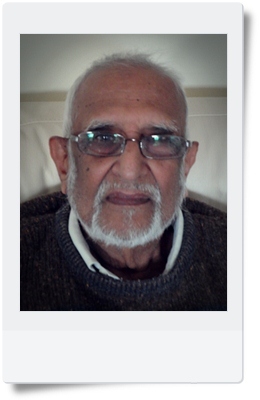 Out of all his siblings, Noordin was closest to his older sister, Sugra, so when she got married in 1941 and moved to the city of Kampala, Uganda, he decided to emigrate with her leaving behind his father and the rest of his family. It was at this time that my grandfather signed an affidavit declaring his year of birth as 1931 to the best of his knowledge, making him ten years old. This was required in order for him to obtain a passport and It is from this year that he has calculated his age ever since. The journey from Rajkot to Kampala was a long and tiring one, starting with a train from Rajkot to Bombay (Mumbai). 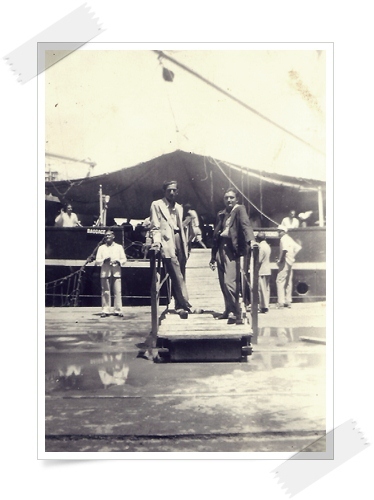 Although planes were in existence by this time, fares were expensive and so from Bombay, Noordin and his sister boarded the ‘Karagola’, a ship bound for Mombasa, Kenya. A journey that would take ten days and cost the equivalent of around nine pounds in today’s money. It was the midst of World War Two and with the constant threat of attack from the Japanese, a journey by boat was dangerous. As it turned out, this ship would be the last to make this journey during the war. “We heard that the next ship that set off after us was torpedoed by the Japanese, killing everyone on board. All journeys between India and Africa were halted following this incident. 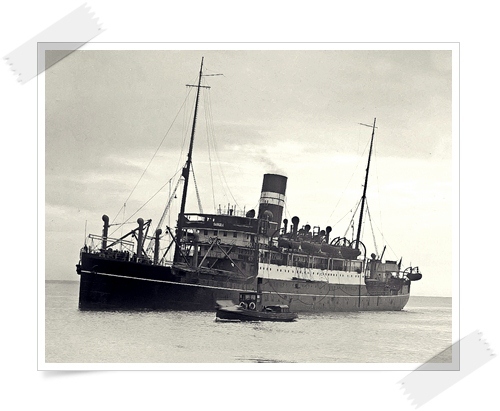 However despite the danger some companies still operated smaller sailboats which were used by those who desperately wanted or needed to travel from one country to the other. 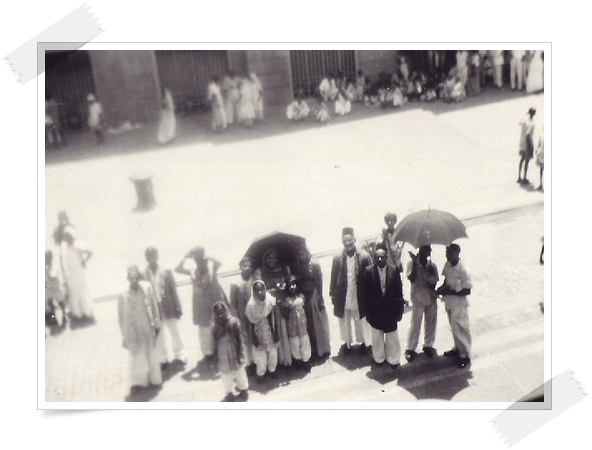 From Mombasa my grandfather and his sister took the train for the final leg of their Journey. For the first few years after arriving in Kampala he lived with his sister, his new brother- in- law, his brother-in-law’s three cousins, the wife of one of the cousins and their two children as well as his sister’s two new stepchildren in a small house behind the family’s shop on Burton Street. One of these stepchildren was Rukaiya, who was around the same age as my grandfather and the girl whom he would go on to marry at the age of 21. After completing primary school my grandfather chose not to completeany further education. The ship companies starting operating on the India-Africa route once more following the end of the war in 1945, but it wasn’t until 1951 that my grandfather returned to India for a three month stay to visit his family. This trip would be the last time my grandfather saw his dad, learning of his father’s death seven years later in 1958 by telegram. By the time of his next visit to India in 1963 two of my grandfather’s brothers had also passed away. 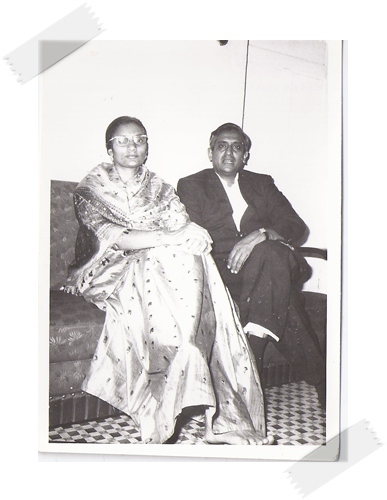 Shortly after returning from India in 1951, my grandfather married my grandmother, Rukaiya, and a few years later welcomed the first of their six children, a daughter named Rukhsana, followed by another daughter Jamila in 1956. Bringing up their daughters for their first few years in the same house where Rukaiya had grown up and where my grandfather had lived since arriving in Kampala, it was only after the birth of their third daughter Shirin (my mother) that the family finally moved into a house of their own, a two-roomed building at 5961 Kampala Road, the city’s main street. 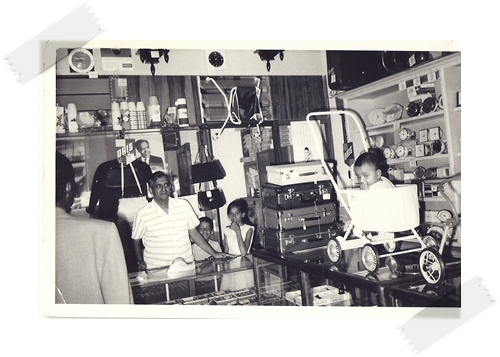 By 1968, Noordin had become a father twice more, to sons named Aftab (1962) and Mufazzal (1968) and financed by his brother-in-law, had begun his own business as a watchmaker opening a shop named ‘The Moonlight Watch Company’ in the city’s market square. The business was hugely successful and profits were high, however it was forced to close just four short years later following an announcement that shocked the entire Asian Population. In August 1972 Idi Amin issued a decree expelling all Asian’s from the country. News channels reported that they had just ninety days to leave with warning that anyone remaining in the country after 8th November risked being imprisoned in military camps. The family left for England In October 1972, having been forced to leave behind most of their possessions. 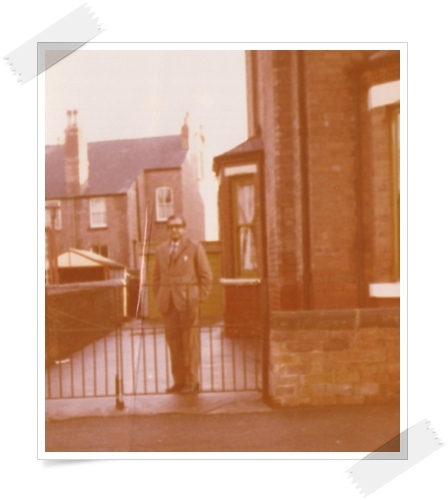 After two months at one of the Ugandan refugee camps at RAF Faldingsworth, my grandfather and his family were settled into a large house in the affluent area of West Bridgford, Nottingham where he had found work selling watches in department store Pearsons. Now retired, My grandfather visited India once more in December 2011, during which time he uncovered old school records which revealed his true date of birth, 4th May 1927, making him 84 years old today.